E-cigarettes may have helped about 18,000 people in England to give up smoking in 2015, according to new research by UCL which was published in the British Medical Journal. Researchers at the UCL Health Behaviour Research Centre analysed data from the Smoking Toolkit study - which provides the latest information on smoking and smoking cessation in England - and data on the percentage of the smokers who set a quit date with Stop Smoking Services. There was no evidence that e-cigarettes prompted more people to try and quit, but over this time period, as more people used e-cigarettes, more people successfully quit smoking. It's estimated that 2.8 million people in the UK use e-cigarettes. And they are the most popular smoking cessation aid in the UK. But the most effective way to quit smoking remains through prescription medication and professional support from free local Stop Smoking Services. Although fewer people (450,000 a year) take up these services than those who use e-cigarettes, a smoker using a Stop Smoking Service is around three times more likely to quit than going cold turkey on their own. Tobacco kills more than 100,000 people a year in the UK and is still the number one preventable cause of cancer. 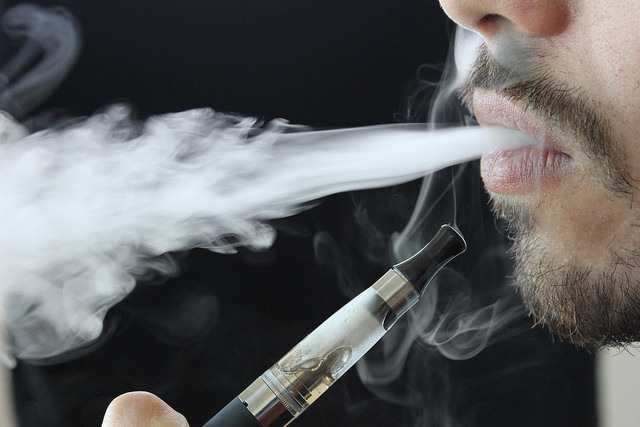 Professor Robert West (UCL Health Behaviour Research Centre) said: "England is sometimes singled out as being too positive in its attitude to e-cigarettes. These data suggest that our relatively liberal regulation of e-cigarettes is probably justified." Alison Cox, director of prevention at Cancer Research UK, said: "Giving up smoking can be really tough. It's important to remember that getting support from Stop Smoking Services is still the most effective way to quit. "E-cigarettes can play a role in helping people quit and the evidence so far shows e-cigarettes are much safer than tobacco. This study shows the positive impact they've had on helping people give up the deadly addiction. "We'll continue to fund research into e-cigarettes to build our understanding, and encourage people to combine the most popular method with the most effective - Stop Smoking Services. But this study reassures us of the promise these products have."